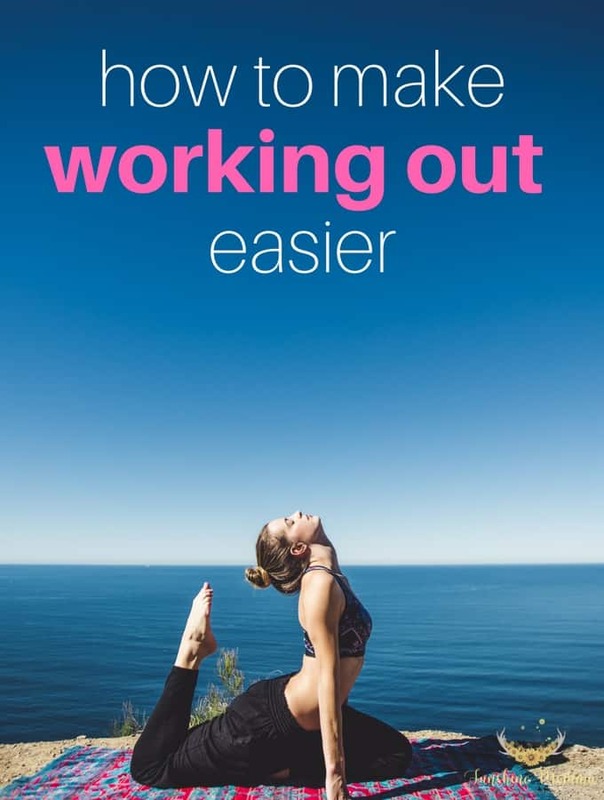 Knowing how to make working out easier can be the key to leading you towards the healthy life you want. Without the ability to push yourself to exercise it will be very difficult to make progress. Most people don’t think this way, but working out can be something that you love. I have tried many different workout routines and if I am not enjoying the process (even when it’s hard!) then I will not succeed in finishing it. For example, I LOVE Figure 8 Fitness for my core exercises. It is a workout routine that uses dancing to strengthen your core…and it is so fun that you don’t even know that you are working out. It is an easy to follow program that anyone can do, even if you are a terrible dancer like me and will help you improve both your core strength and your cardiovascular system. Not to mention, dancing is a total mood enhancer! I always feel so great for getting a workout in and for having fun dancing in my living room with my toddler. Find out what time of day you workout best. Are you more motivated in the morning or do you like to use exercise to relax in the evening? After you figure out what time of day is best for you, set that time in your calendar and make it a routine to workout. Eventually you won’t even think about having to workout it will just be your routine. Yep, find a distraction during your workout. When I run when I listen to music, when I do resistance workouts I watch TV (weird I know, but it works! ), and with Figure 8 Fitness I am watching a video and repeating dance moves! It helps me a lot when the workouts start to get hard to take my mind off of how much of the workout is left. Before I know it, I am finished! I have also heard of people reading or listening to audiobooks when working out. One of the best ways to ensure that you are completing your workout routines is by getting yourself an accountability partner. It can be a friend, a spouse, a coach, or anyone who can commit to either doing the workouts with you are just making sure that you are staying on track. Having someone to do the workouts with you is the best possible version of an accountability partner because having someone on the journey with you makes working out fun! The Figure 8 program that I mentioned earlier has an amazing closed Facebook group where the members hold each other accountable and share their progress daily!